Travel insurance is an insurance product to protect you from the risk of losses occurred in misfortune events during domestic and international travels. Main purpose of any kind of “Travel Insurance Policy” covered is associated with trip cancellations and medical expenses. Now a day, online ticket booking websites provides you the travel package along with the travel insurance. Below tables will guide you Travel Insurance Coverage’s offered by some of the insurer. Here you will get the basic idea about what are the things that need to be considered when buying travel insurance policies. Mostly Flight / Trip cancellation or disruption coverage. This includes due to Sickness, Weather, Pre-existing medical condition, Injury, Pregnancy, Job loss, Terrorist attack, Death or hospitalization, Hijacking, Natural disaster, etc. Some other events that might cover under Travel insurance includes lost or stolen of baggage or cost of ransom in case of kidnapping or damage to the rental assets like rental car or rental bike. Different travel policies have different coverage depending upon states as well. We recommend you to get in touch with your nearest insurance representative to get clarified information on travel insurance coverage. There are many expenses non-refundable and pre-paid when you plan a trip. For example: Tour Package, Hotel Rooms, Cruise Fare, etc. Under Flight / Trip Cancellation Coverage, you can claim for non-refundable or pre-paid expenses in case trip is cancelled. Under Emergency Evacuation Coverage you will be covered for emergency evacuation expenses. For example: Transportation to your hospital of choice for care or Airlifts and Medically Equipped Flights to travel back to home. Under Baggage Coverage, you can claim for Lost / Stolen / Damage of your personal belongings. Under Baggage Delay Coverage, you can claim for purchasing essential items until your bags are arrived. For example: Swimsuit, Clothes, Toiletry kit, etc. Under Travel Delay Coverage, you can claim for expenses in case your Trip / Flight is delayed. For example: stay at hotel, restaurant bills, etc. Lost / Stolen / Replaced Baggage. Lost Passports / Travel Documents. Cancelled Flights / Delayed Flights. To locate nearest hospital for care. To arrange for medical treatment or transportation. Or any other assistance you required during travelling. 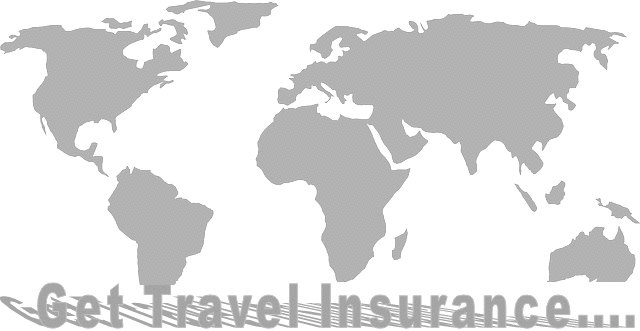 » Currently Reading: What is Travel Insurance Policy and Travel Insurance Coverage. I got this website from my pal who informed me on the topic of this website and at the moment this time I am browsing this website and reading very informative content here. Right here is the perfect blog for anybody who wishes to understand this topic. You know so much its almost hard to argue with you (not that I actually would want to…HaHa). You certainly put a new subject which has been discussed for a long time. I usually do not even are aware of the way I finished up here, however I figured this publish was great. I usually do not realize who you’re however definitely you are going to a famous blogger whenever you usually are not already. Cheers! We’re a small grouping of volunteers and opening a whole new scheme inside our community. Your website offered us with valuable info to be effective on. You possess done an impressive job and our whole community will be thankful to you personally. Hello! Someone within my Facebook group shared this website along with us thus i arrived at give it a look. I’m definitely loving the details on international travel insurance online. I’m book-marking and are tweeting this to my followers! Wonderful blog and excellent design and magnificence. whoah this weblog is magnificent i love studying your articles. Stay up the good work! I would suggest to add international travel insurance policy comparison online. You already know, many persons are searching around for this information, you could aid them greatly.